« Christmas Crafts – Snowflakes and Angels! Join us in our prime position in the High Street as Dunbar’s famous Christmas lights are switched on for 2017! We will be open until 6pm this evening, so why not pop in to amuse the kids with some Christmas crafts while you wait for the big switch on. While here have a look at our handpicked selection of locally made gifts, and today only enjoy 10% off marked price. 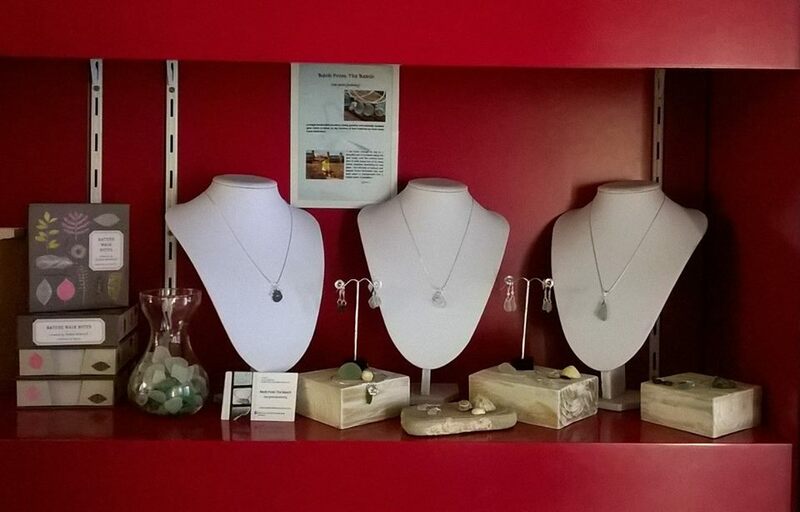 Choose from Back from the Beach Jewellery, Chain Bridge Honey Farm toiletries, Lynn Fulton Ceramics in addition to local cards, John Muir Trust Calendars and Diaries and John Muir and nature themed books for both adults and children.